HELMAND BLOG (March 24- 25, 2010) HRH Prince Charles, The Prince of Wales, has made a surprise visit to British troops in Afghanistan. 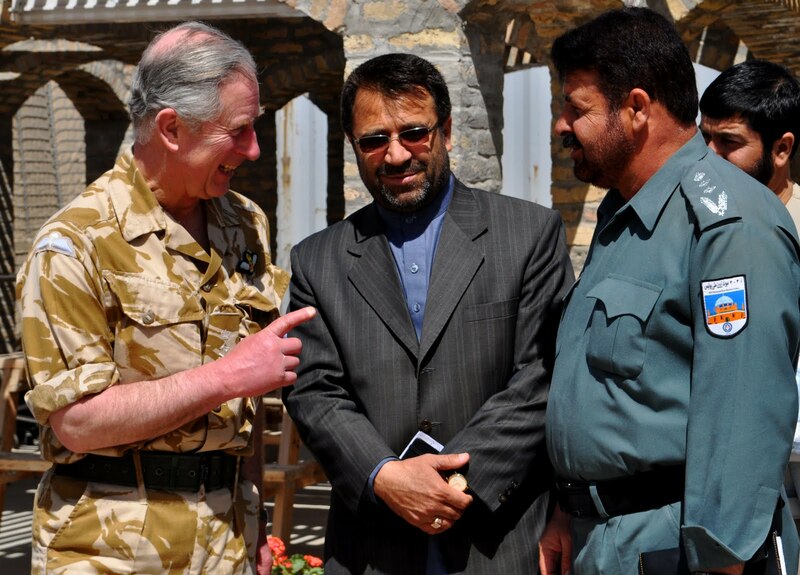 He is the most senior member of the royal family to visit Afghanistan and the only one in living memory to visit Kabul. 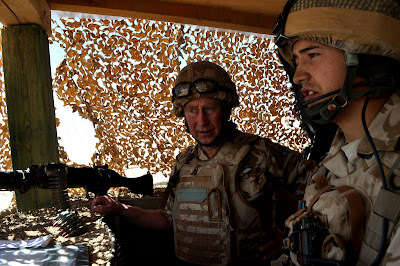 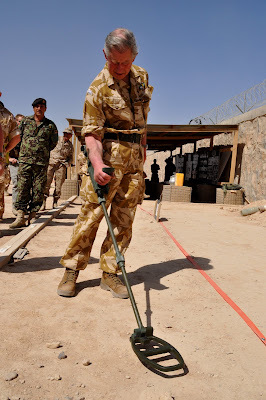 After spending the night at Camp Bastion, today the Prince visited Patrol Base Pimon, a forward Patrol Base in the Nad- e Ali district area of Helmand Province, operated by the Right Flank, The Scots Guards. The Nad-e Ali area was the focus of much of the UK effort as part of Operation Moshtarak. 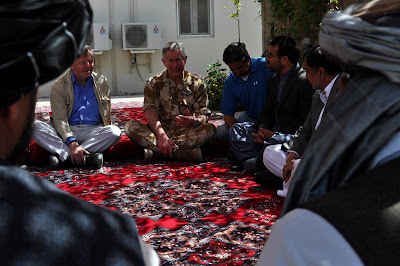 He also visited Task Force Helmand Headquarters at Lashkar Gah to meet the troops and receive a brief from Brigadier James Cowan before meeting with Afghan District Governor Mangal and, together with British commander, took part in a shura with local elders. He flew into the Afghan National Army brigade camp of Shorabak in an RAF Chinook, close to Camp Bastion, where he was greeted by an Afghan guard of honour before speaking with Afghan troops and their British mentors from 2nd Battalion, the Yorkshire Regiment. 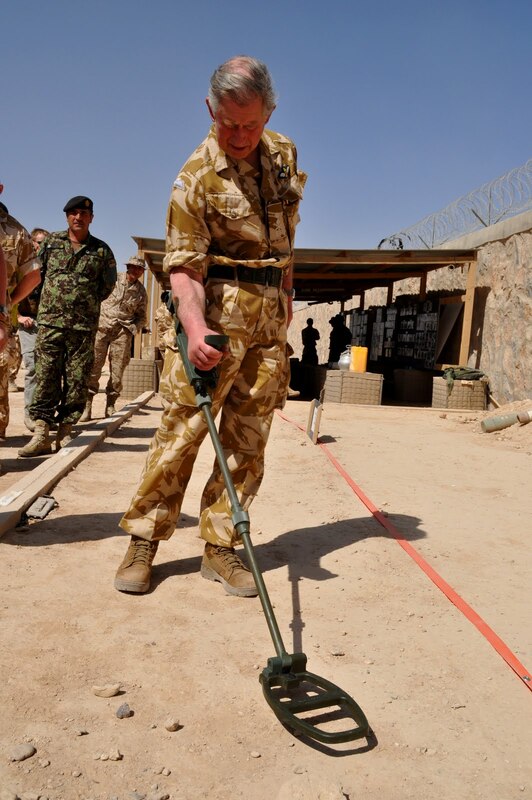 The Afghan and British soldiers gave a demonstration of instructional and training techniques, including identification of IEDs. 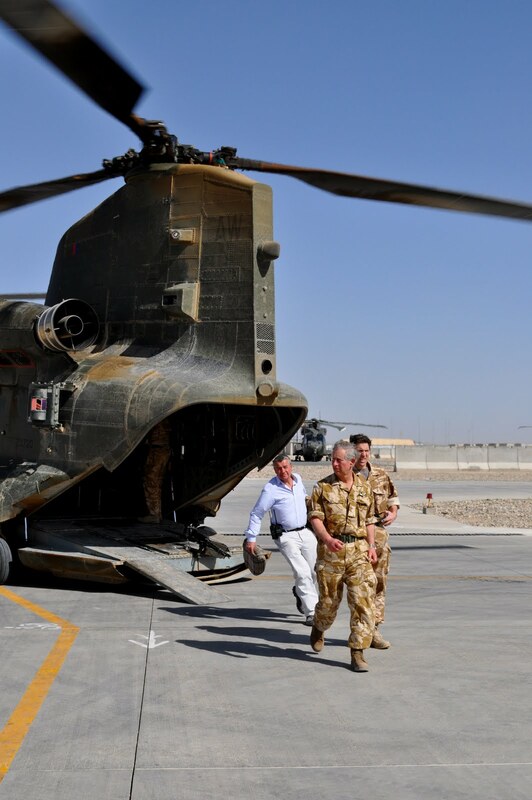 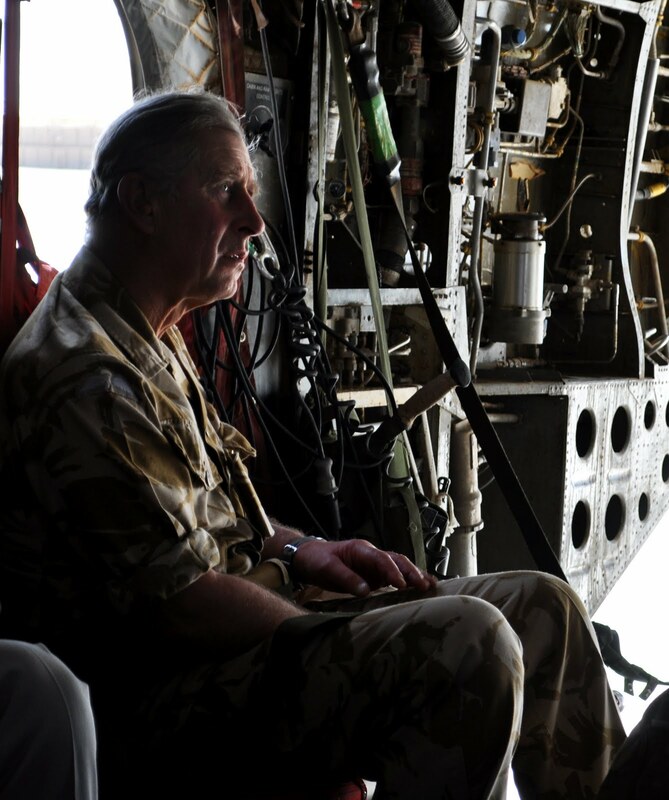 He later flew to Camp Bastion where he spoke with soldiers of the Joint Helicopter Force (Afghanistan), the UK Joint Force Medical Group, and the Joint Force EOD (Explosive Ordnance Disposal) teams. 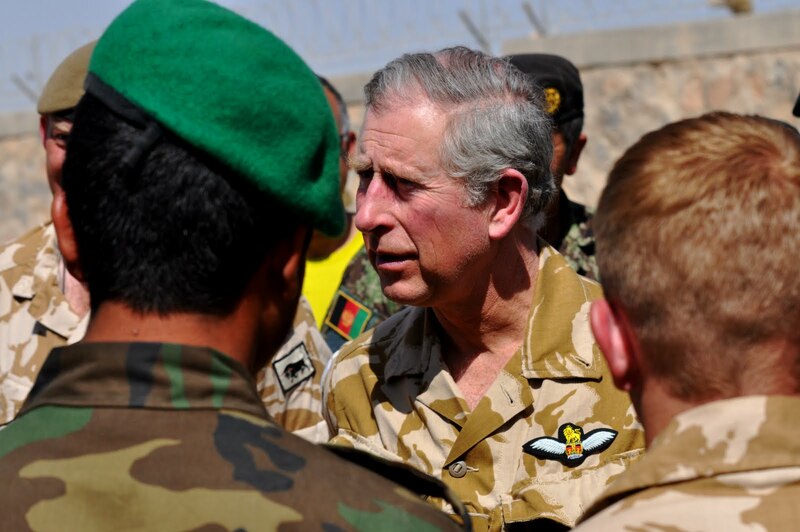 The Prince laid a wreath at the Camp Bastion memorial, in memory of those British soldiers killed during the campaign. 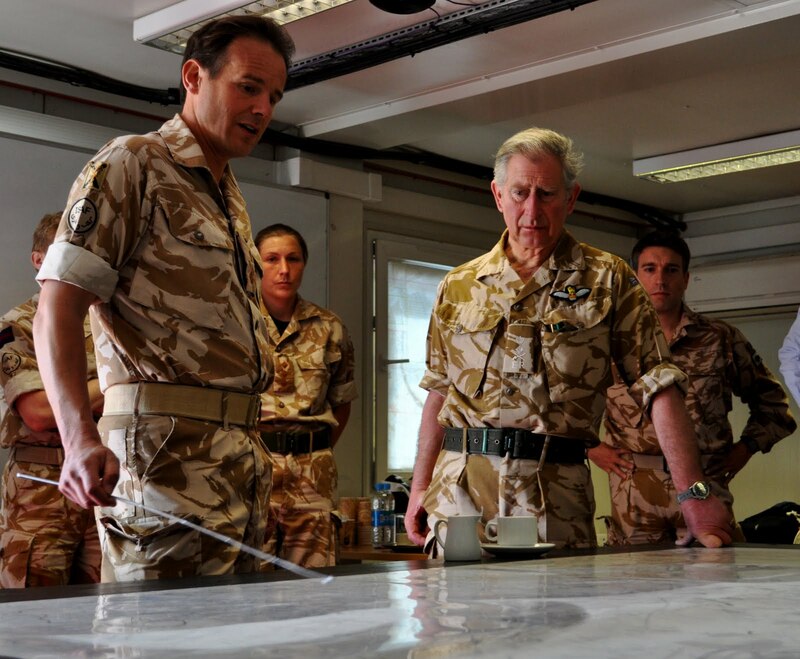 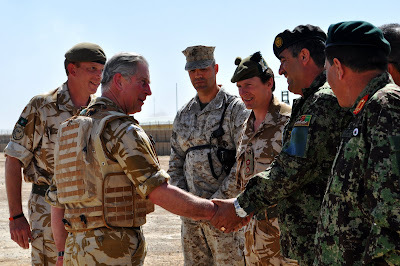 The Prince’s visit to troops was part of a two day programme, which also included meeting with the Commander of ISAF, General McChrystal, diplomatic representatives and senior Afghan Government officials. He also visited the Turquoise Mountain Foundation in Kabul. A shura with Governor Mangal and local elders. 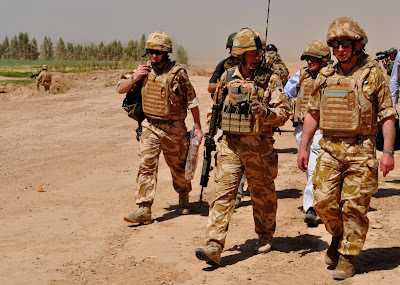 Walking from the RAF Chinook to Patrol Base Pimmon to visit the Right Flank, The Scots Guards.